I'm leveled, NO LIFT. But my tire guy at Discount says they would be fine at stock height. Looks awesome, thanks for the pics! So besides the wide base OEM style gorilla's if one gets new aftermarket wheels what is the best thing going? The skinny Gorilla spline locking type, Mcgard kits? 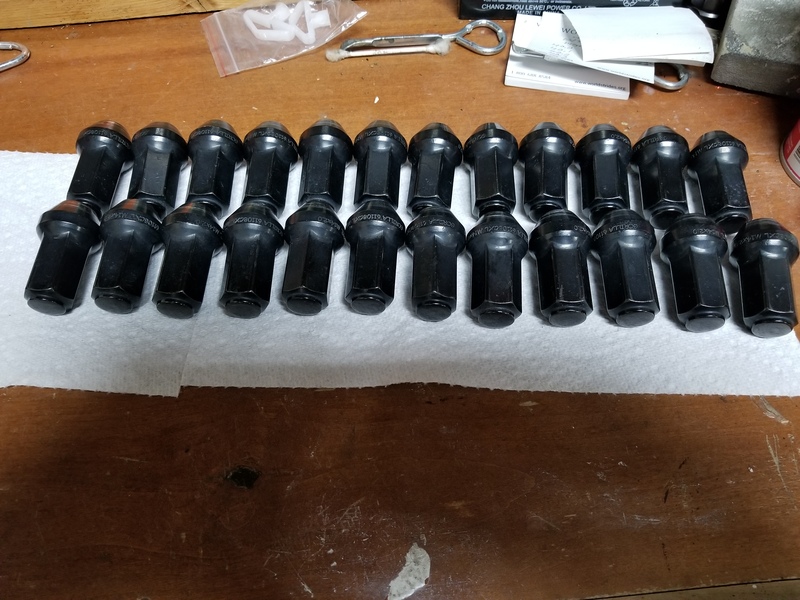 Looking for ideas on some reasonable quality lugs in black that will hold up better than ebay chinese stuff. As stated earlier, although my lugs get taken off/on often, compared to most, I take considerable care to use proper tools and gentle treatment. Still, the oem lugs are already getting irritatingly fussy about getting stuck in the socket because of distortion. If you look closely you can easily see the difference in the design of the two. 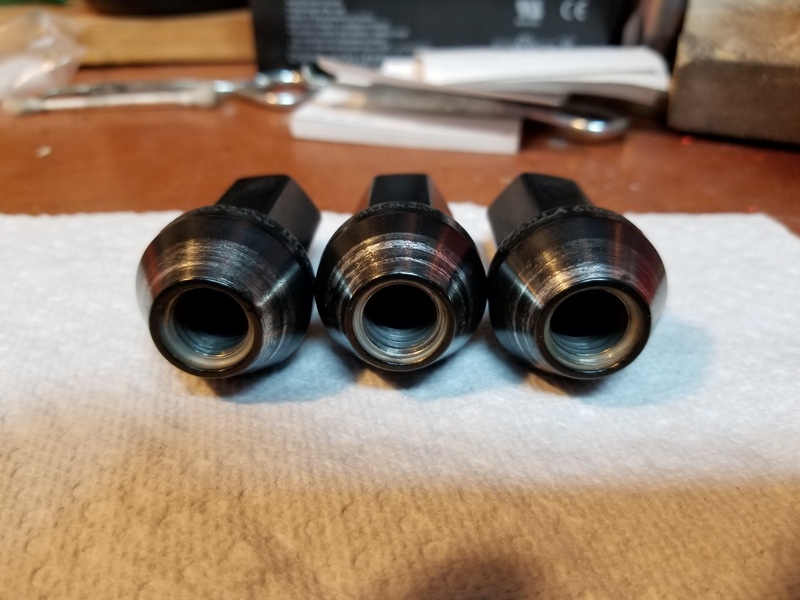 Also note that the reversible lug socket requires an end-swap for each nut now since the oem requires the 21mm end and the replacement requires ⅞". My black gorillas are all rusting. They have rust spots all over They have been on truck only a few months and were sealed before putting on. 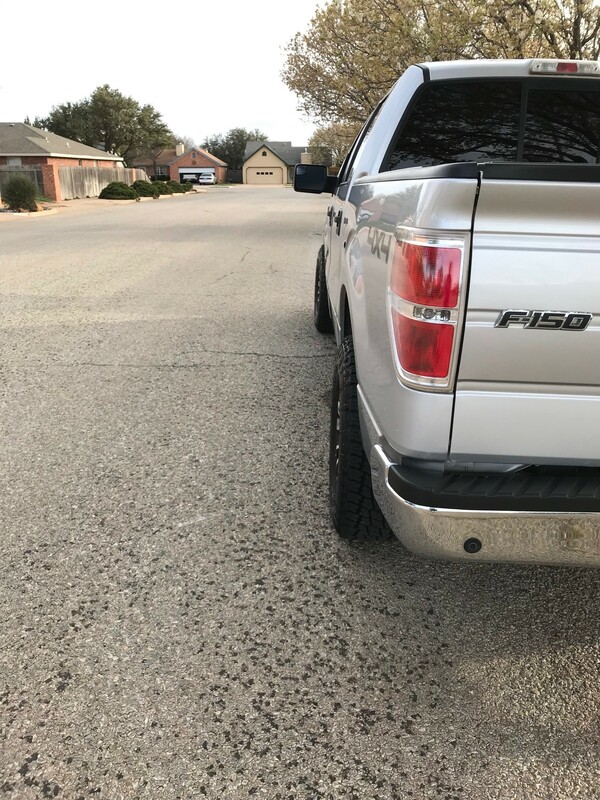 I keep my truck very clean, I am not happy. I am going to contact them and try to get free replacements, then have the new ones anodized or powdercoated at a shop. Beware before purchasing these. 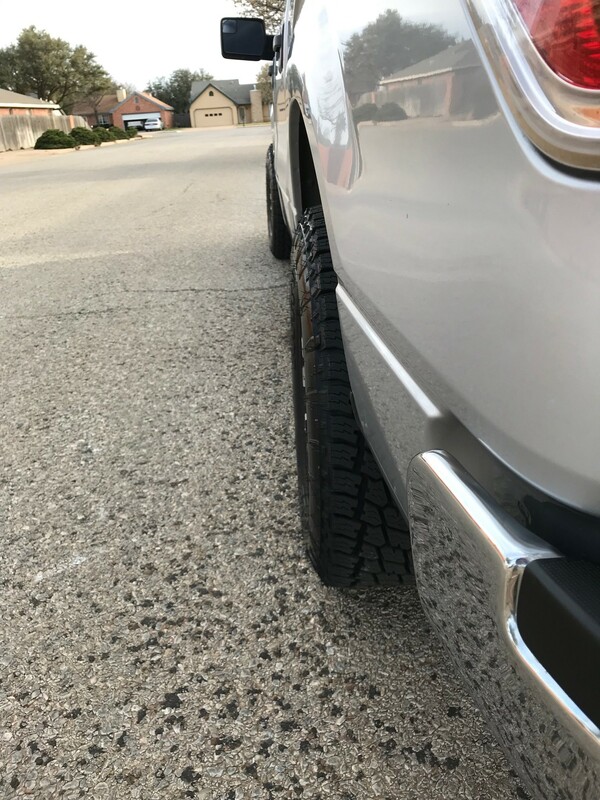 I just did my second tire rotation and the overlays are getting booger-ed up. 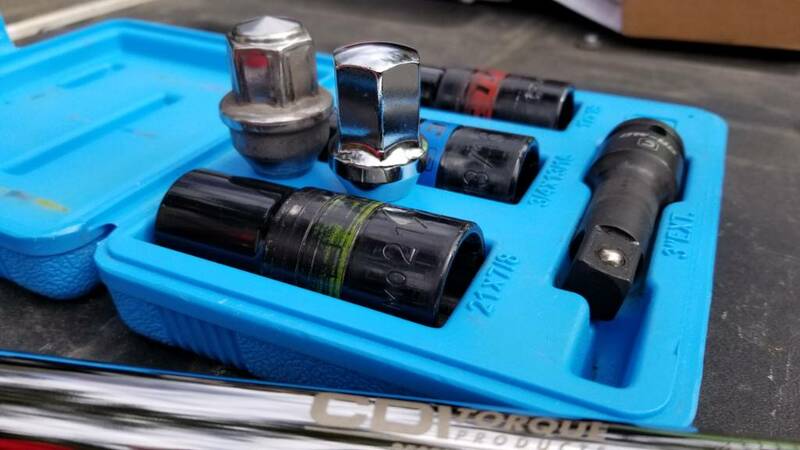 150ft lbs torque from a impact is brutal on lug nuts with overlays. For the next rotation I'll have a set of Gorilla's on hand for replacement. 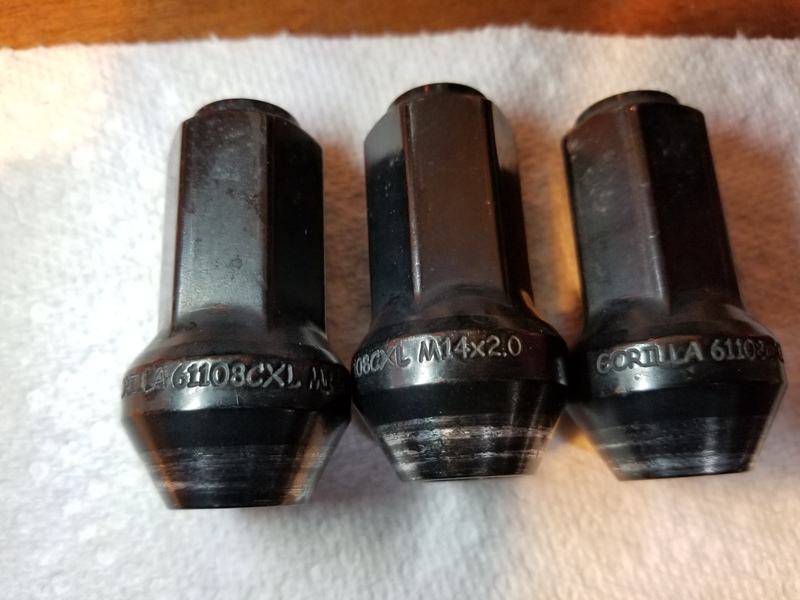 I just replaced my wheels and have a set of 24 black gorilla nuts that are a year old (M14x2.0, OEM wide base, won't fit aftermarket wheels) They have the typical install wear on the cone and some surface wear. Threads are in great shape and have no rust. Since I am in a generous mood to give good karma back to forum members I would be willing to part with them for cost of flat rate shipping to someone who needs them. Say $10. Private message me if interested. snakebitten and noodles like this.